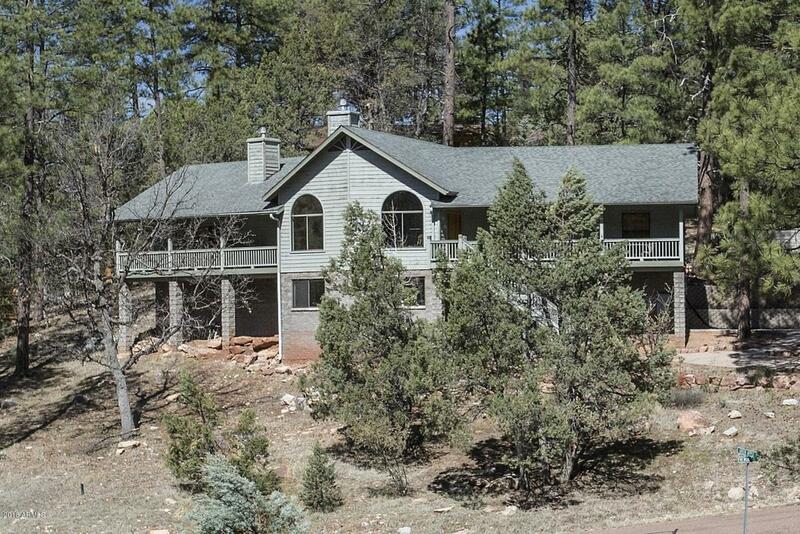 The perfect family mountain cabin in Hunter Creek Ranch gated community just outside of Payson! This main-level living home offers a split floorplan with the Master Suite and two Guest Bedrooms on the main level with a Pool Room/Recreation Room downstairs and outdoor living abound. 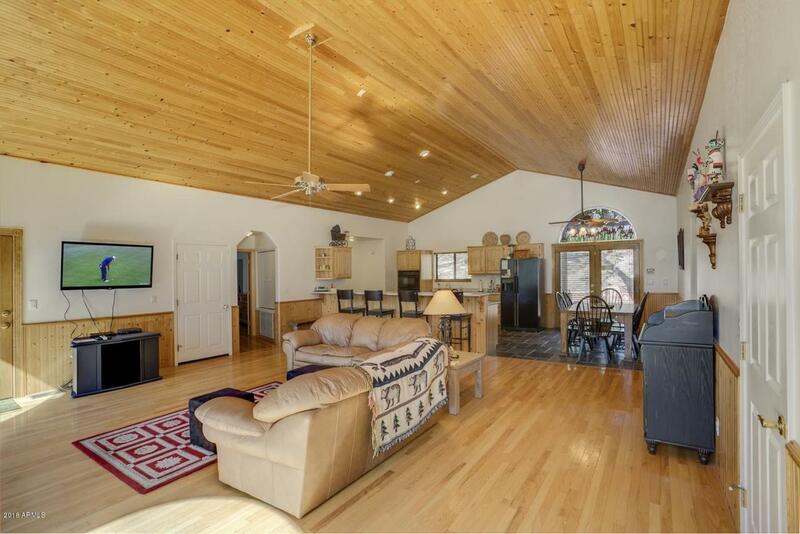 This premier mountain home has everything that you are looking for in a family retreat - a large, open floor plan to entertain and all the outdoor living from almost every room makes the home even more spacious. 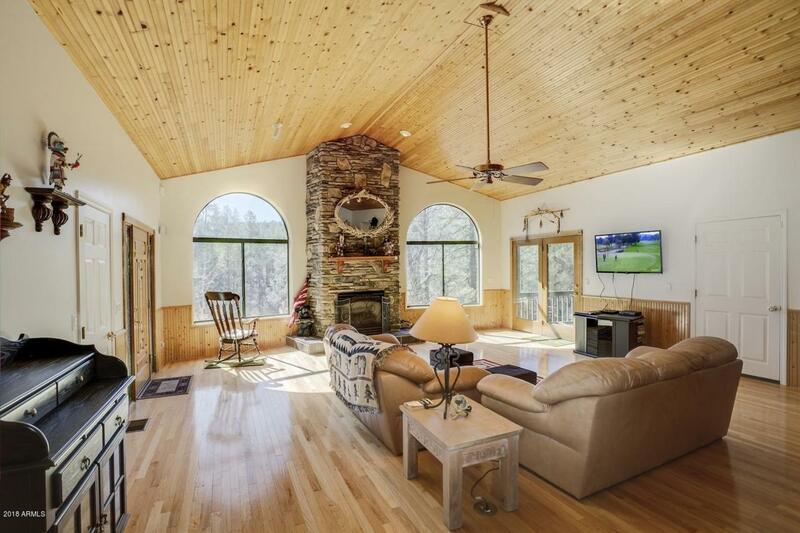 The Great Room has wood floors, vaulted ceiling with tongue and groove, floor-to-ceiling stone fireplace and matching windows on either side to let in beautiful light and allow you to enjoy the tranquility of the forest outside. 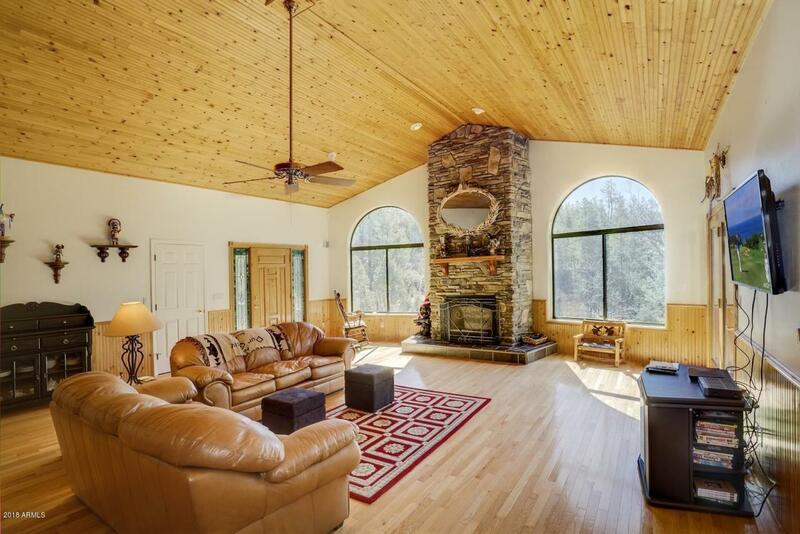 This is the perfect mountain cabin for you and your family, come see it now!